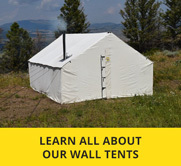 Limited Lifetime Warranty: Products manufactured by Montana Canvas are warranted against defects of materials and workmanship. Any product found defective will be repaired or replaced (at the discretion of Montana Canvas) without charge when the product is returned to the retail seller with freight charges prepaid. 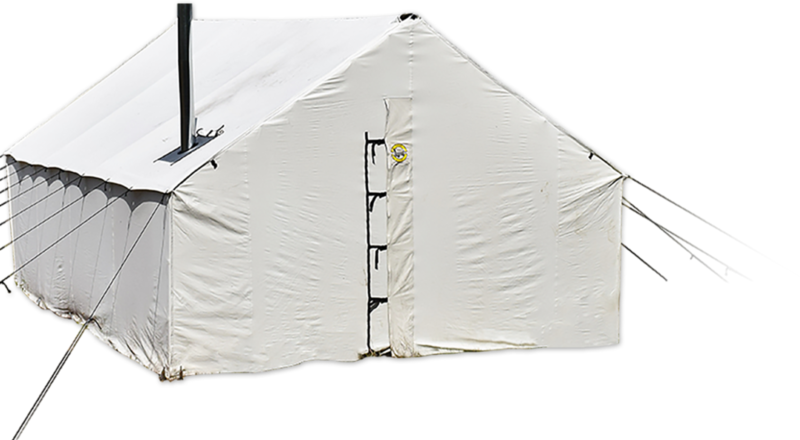 This warranty is voided with the use of cleaning, treatment agents or compounds that have not been approved by Montana Canvas. This warranty does not cover torn fabric or merchandise damaged through misuse, accident or transportation. The manufacturer makes no other warranty either express or implied and shall not be liable for consequential or incidental damages. This warranty applies only to new products sold at retail value and to the original purchaser. This warranty gives you specific legal rights. You may have other rights which vary from state to state. Address: We use your physical address to send you the products and services you ordered. We use your billing address to send invoices, catalogs and verify your credit card information. E-mail address: We use your e-mail address to send confirmation of your order and the shipping date. On occasion, we may send you product updates and special featured products that may be on sale through e-mail. If you would prefer not to receive our e-mails, you can e-mail us anytime at info@montanacanvas.com and we will remove your e-mail address from our send list immediately. Phone Number: We keep the phone numbers you provide on file to notify you in case of a problem with your order. Phone numbers are also entered into our shipping system so Fed-Ex or UPS can contact you if there is a delivery problem with your order, while in transit. Credit Cards: Credit card numbers are used only for payment processing and fraud protection. They are not retained for any other purposes. If you place an order online, we will use your financial information to bill you for products and services or otherwise process your transaction. By making a purchase online, you consent to providing your financial information to our service providers to process your transactions. These third parties may include credit card companies and banking institutions used to process the transaction. Spam: We will not, under any circumstances, share your personal information with any company outside of Montana Canvas Inc. or third parties acting on our behalf, such as those involved in purchasing and shipping your order. Correct/update personal information: If you would like to review, update change or delete information that we have collected from you, please send an e-mail to info@montanacanvas.com or write to Montana Canvas Inc. 110 Pipkin Way Belgrade Montana 59714. Product pricing: We do our best to keep our prices current and error-free. Since many of our suppliers reserve the right to alter their price, our pricing and availability are subject to change without notice. Every effort has been made to ensure the accuracy of the information listed. However, Montana Canvas does not assume any responsibility for any errors contained therein nor from orders arising from those errors. We reserve the right to cancel any orders received without having to assign a reason to do so. Montana Canvas prices occasionally change due to supply, demand and other uncontrollable factors. Our company does not offer price protection. If you place an order and the price is lowered on our Web site at a later date, we are not obligated to refund the difference. Please understand that the receipt of an e-mail order confirmation does not constitute the acceptance of an order, it confirms that our system has received your order. Verification of information may be required prior to the acceptance of any order. We reserve the right to correct any rare pricing errors or other errors on our Web site, to limit the order quantity for any item, and to refuse service to any customer. Montana Canvas makes every effort to ship your order within our order guidelines, also making every effort to process your order within 24 hours of receipt. We normally ship our products either via Federal Express or UPS standard ground delivery. Other carriers may be available upon request. We reserve the right to ship your order via a variety of carriers. We do our utmost to ship using the best possible method for your individual order. You can expect your standard ground shipments to arrive within our ordering and processing guidelines. 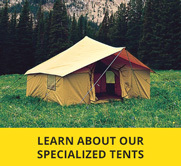 Most tent and frame orders allow 3-4 weeks for manufacturing and delivery. Montana Canvas does have some items in stock and may be able to fulfill an order sooner. Please contact us a 1-800-235-6518 for details. We are more than happy to accommodate most of your expedited shipping needs and can ship almost anywhere the world. Please contact us for shipping charges and options if you need expedited shipping. Note: Because of our location, any expedited shipping requests must be received by 1:30 pm mountain standard time to ensure the expedited delivery can be processed. Note: We can not expedite a shipment to PO boxes or APO/FPO addresses. We are more than happy to ship your order anywhere in the world. If you need us to ship outside the Continental United States, please call toll free at 1-800-235-6518 or email us with the items to info@montanacanvas.com. We will be happy to provide you with your shipping options and costs. Please note that you will be responsible for duties and taxes upon delivery of your products. All orders must be paid in U.S. funds by international money order or by credit card. Exchange rates are automatically calculated on credit card orders by your bank. Any single shipment item too large or over 150lbs. must ship LTL truck please contact Montana Canvas for freight charges and shipping options. Multiple items over 200lbs. will possibly ship LTL truck as well, please contact Montana Canvas for freight charges and shipping options. Montana Canvas wants you to be satisfied with your purchase. If you are not pleased with your merchandise, you may return the product(s) within 30 days of receipt. Refunds will be issued in the same manner as the order was paid or credit will be given toward the purchase of a different item. The item must be returned in brand new condition, in original packaging and with all parts and accessories to ensure full credit. Montana Canvas guarantees any defects in workmanship or materials according to the manufactures warranty, or if it does not exist, for the reasonable life of the product. Please contact us before shipping any product back for there must be a return authorization for the return to be processed. Any products that have been used a restocking charge may apply. In the event that we have made a mistake when shipping your order, or the item was received in poor or unusable condition, please contact Montana Canvas so that we can make arrangements for the return shipping and replacement product. Our customer service number is 1-800-235-6518 or you may e-mail us at info@montanacanvas.com.